DEBOSSED Silicone Wristbands are excellent value for money. 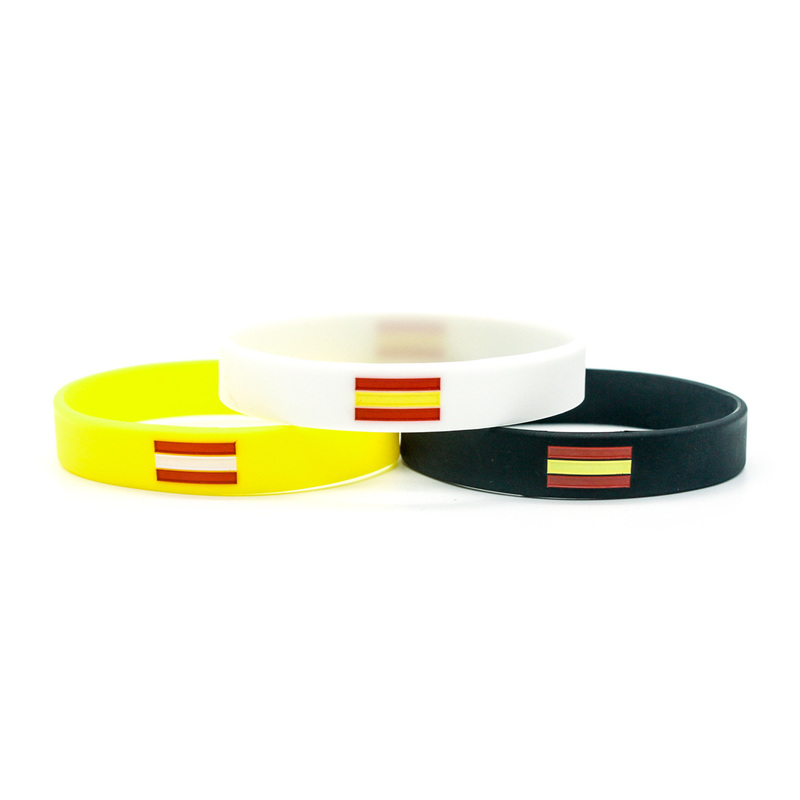 People who like to wear the silicone wristbands often express their enthusiasm towards someone or something and also to support a positive cause. Available in Adult (202 x 12) Medium (190 x 12) Small (180 x 12) X Small (150 x 12) There is size to fit almost any wrist comfortably. Made from 100% silicone, they are available in Adults or Kids’s sizes. 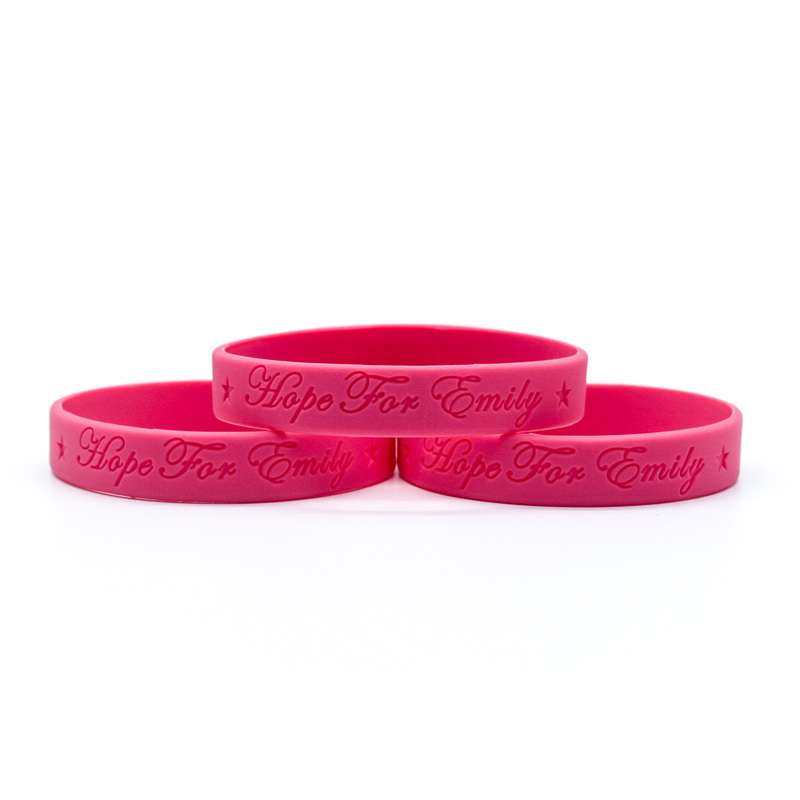 Used as part of a fund raising campaign for organisations or charities, trying to raise awareness – wristbands are a proven way to achieve this result. The silicone wristbands are widely used for spreading messages, promoting products or introducing new ones to the market. Great promotional products that can be used to bring attention to your cause, these custom wristbands are great for race runners, non-profit groups, activists, giveaways at corporate events, but also church youth groups, summer camps, and more. With large imprint areas our 100% latex free silicone Wristbands will immediately reel in a number of your target audience. Super fast production time of only three weeks from art approval. 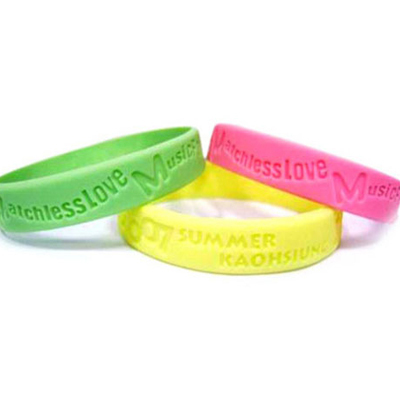 The silicone wristbands with debossing are made with a special technique. 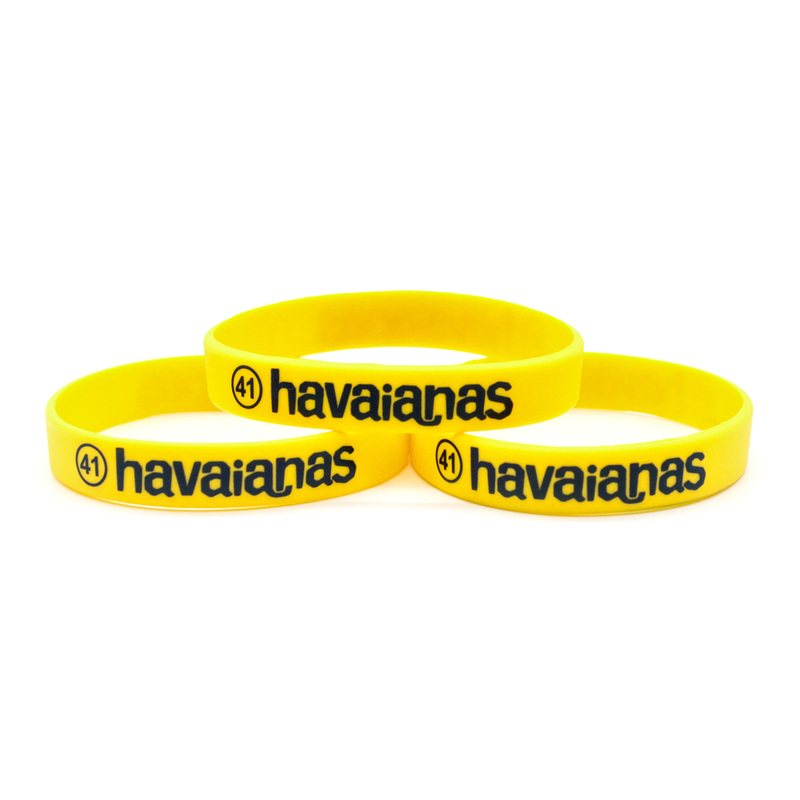 We have developed as the fastest growing manufacturer and supplier offering reliable, prompt and fast service for all your promotional, security and event wristbands in the Australia. Whether you’re giving these out at a trade show or a direct mailer, these make an excellent way to increase your brand awareness all with a fashion statement. We can match any PMS colour of your choosing for as little of 100 pieces only. This style of branding is not suited to complicated logos or small text. 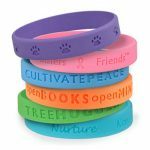 Custom Silicone Wristbands are a fun and easy way to arm your participants with a colorful reminder of your time together. 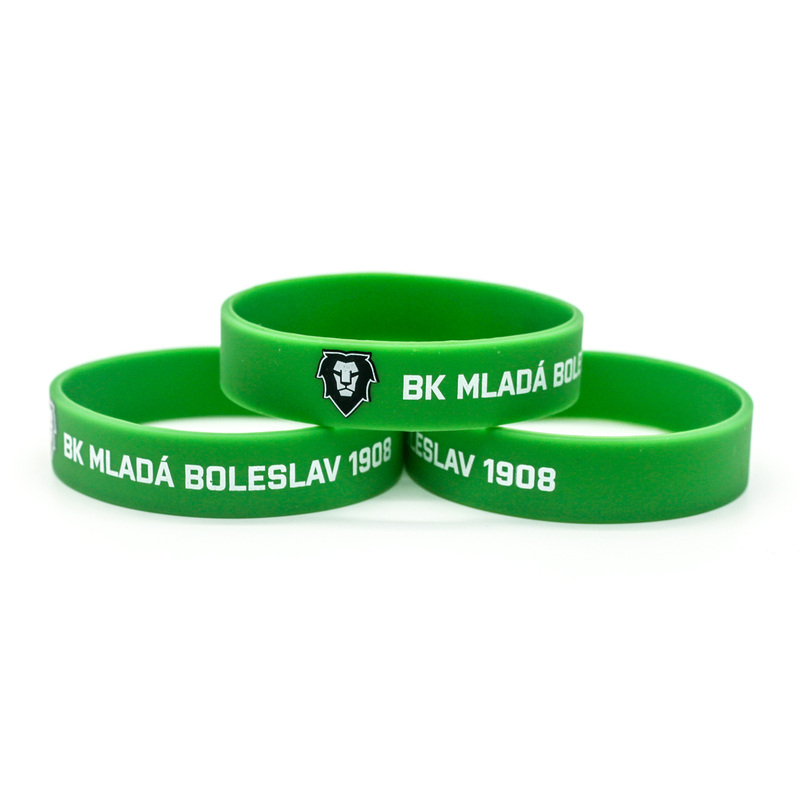 WB03 is DEBOSSED (which means a sunken image) These solid color Personalised Wristbands are available in your choice of ANY COLOUR you can think of. 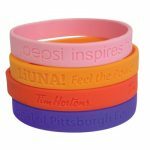 Select that which most closely accommodates to your advertising theme and order our wholesale wristbands in time for your special juncture. 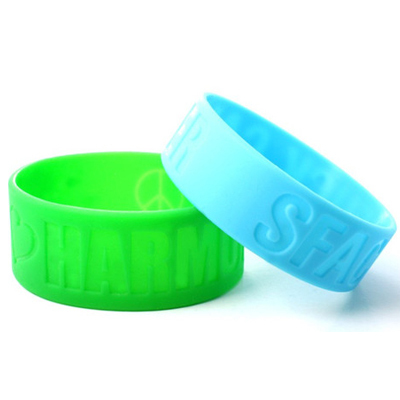 Your text and logo will be embedded into the Wristband and will be the same colour as the band itself. Pick one, two, or stack them up for a fun look with adult, medium or kids sized silicone wristbands with the classic look we know and love. Choose from a variety of band colors and add lettering in debossed imprinting (sunken) embossed (raised) or simply just printed.